Teresa Guidice addresses the state of her marriage to Joe on part three of The Real Housewives of New Jersey reunion. Melissa's husband Joe joins the ladies on part 2 of The Real Housewives of New Jersey reunion. 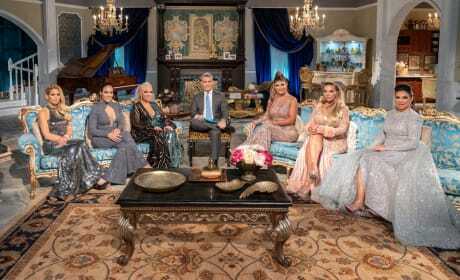 The ladies take their seats on the sofa with Andy on The Real Housewives of New Jersey's reunion. Melissa's search for her sister leads to a shocking discovery on The Real Housewives of New Jersey. "Hotheads And Hookahs" is the 15th episode of the show's ninth season. Melissa and Teresa rehash the confrontation on The Real Housewives of New Jersey. "Heroines In Heels" is the 14th episode of the show's ninth season. Teresa shares what she thinks about Joe finally coming home on The Real Housewives of New Jersey. "Camels, Cabo & Catfights" is the 14th episode of the show's ninth season. 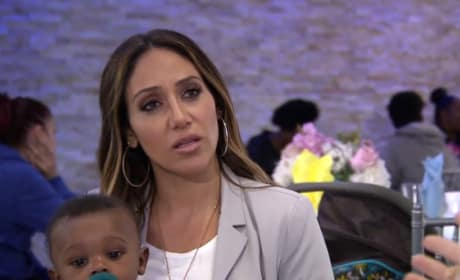 Melissa Gorga makes a surprising discovery about her parents on The Real Housewives of New Jersey. "Mudslinging In Mexico" is the 13th episode of the show's 11th season. The ladies to a trip to a local vineyard on The Real Housewives of New Jersey. "Whine Country" is the 11th episode of the show's ninth season. 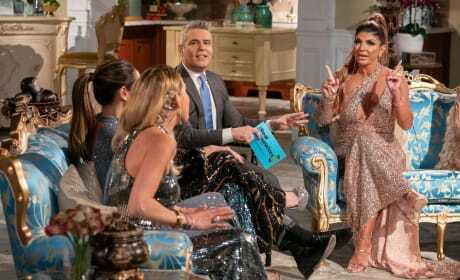 Melissa learns what Joe really thinks on The Real Housewives of New Jersey. "From Turkey With Love" is the tenth episode of the show's ninth season. 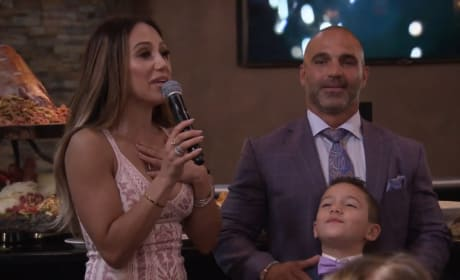 The Gorga family celebrates little Joey's First Holy Communion on The Real Housewives of New Jersey. "Communion And Confession" is the ninth episode of the show's ninth season. Jackie shares how her father spent time in prison on The Real Housewives of New Jersey. "Bridezilla Of Bimini" is the eighth episode of the show's ninth season. 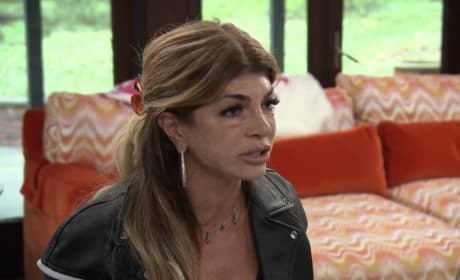 Teresa Guidice curses out a friend while wearing a special face mask on The Real Housewives of New Jersey. "Brunch Gone Bad" is the seventh episode of the show's ninth season.